It’s been three years since a massive magnitude 9.0 earthquake and subsequent tsunami destroyed large parts of the eastern coast of Japan and incapacitated the Fukushima Daiichi nuclear power plant. Life for many of the displaced families, however, has far from returned to normal; around 150,000 residents of the prefecture are still living as evacuees in temporary accommodations, and many villages are still too contaminated for people to return. What is the current state of the cleanup and reconstruction effort? 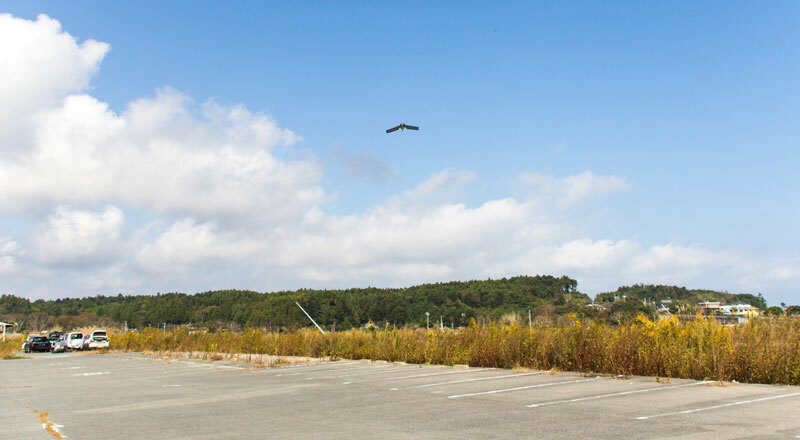 Drone Adventures teamed up with Taichi Furuhashi, researcher at the Center for Spatial Information Science at the University of Tokyo, to try to answer this question. 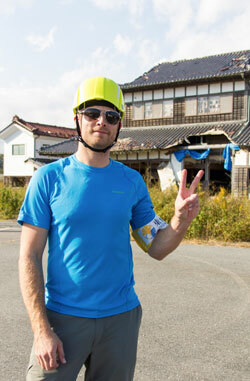 Over the course of several days, we mapped three unique towns in Fukushima district: Iidate village, Hisanohama, and Tomioka. Figure reproduced from the French Government’s Institut de Radioprotection et de Sûreté Nucléaire (IRSN 2011). 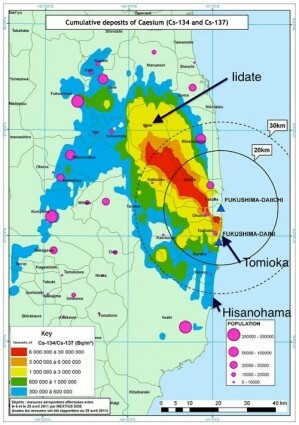 Though relatively far from Fukushima Daiichi at 60 km to the north-west, Iidate village was in direct line of the prevailing winds during the explosions at Units 1, 3, and 4, and thus received some of the highest levels of contamination of radioactive elements, as shown in the figure above. 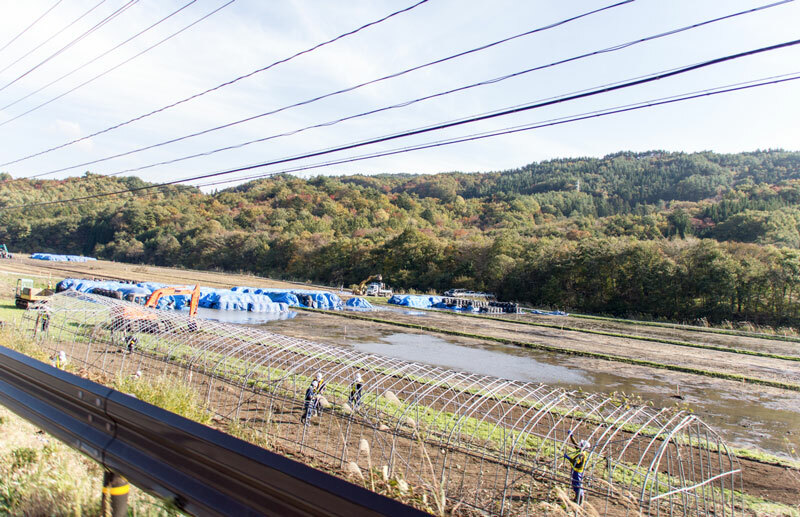 Driving into town, we saw workers operating excavators and trucks, packing the top level of contaminated soil from the fields into giant plastic bags. The village itself remains a ghost town, since residents have been unable to move back since the evacuation. Parking lots are now temporary deposits for contaminated soil, presumably before the soil is moved to a more permanent (and expensive) storage facility. We set up around the local school, which was abandoned suddenly during the disaster and hasn’t been returned to since. Classrooms are still full of books, desks, and chairs. 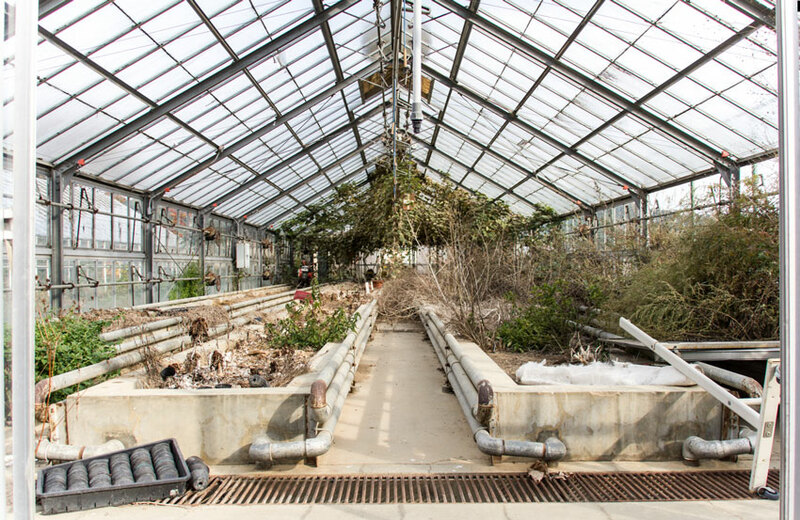 The school greenhouses are now full of weeds, and the plastic pots have most likely been knocked over by wild boars. 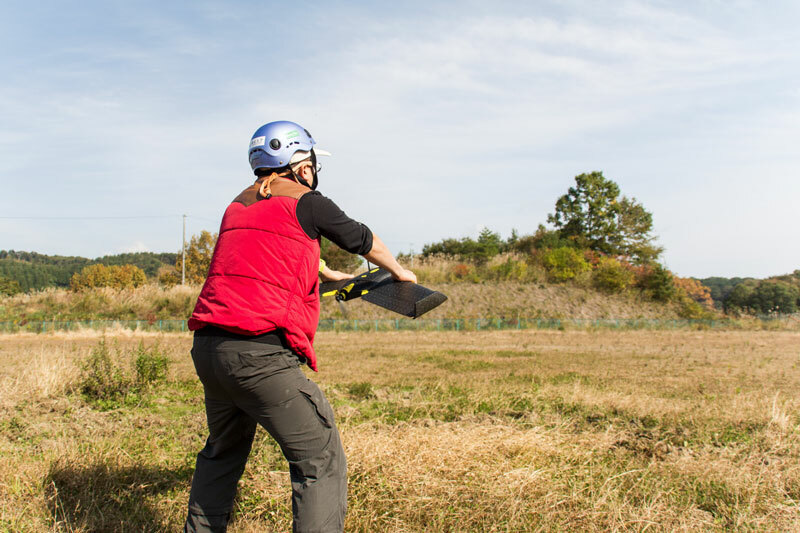 We launched two flights of our drones from the school’s baseball field and a third one from a local rice field, and were able to map the entire village, surrounding fields, and local forest. Piles of contaminated soil are clearly visible from above. Hisanohama, Fukushima prefecture. A shrine is all that’s left standing among a sea of ruins. 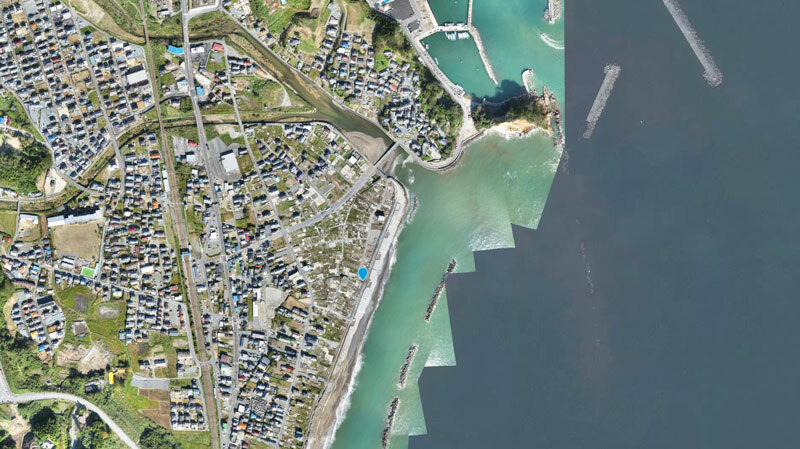 We performed two flights above the town, creating an up-to-date map of the tsunami-affected areas. It’s particularly interesting to see the difference between the MapBox Satellite base layer and our dataset; you can see the progression of the cleanup efforts. This data has since been donated to the local municipality to help serve as a base for reconstruction efforts. 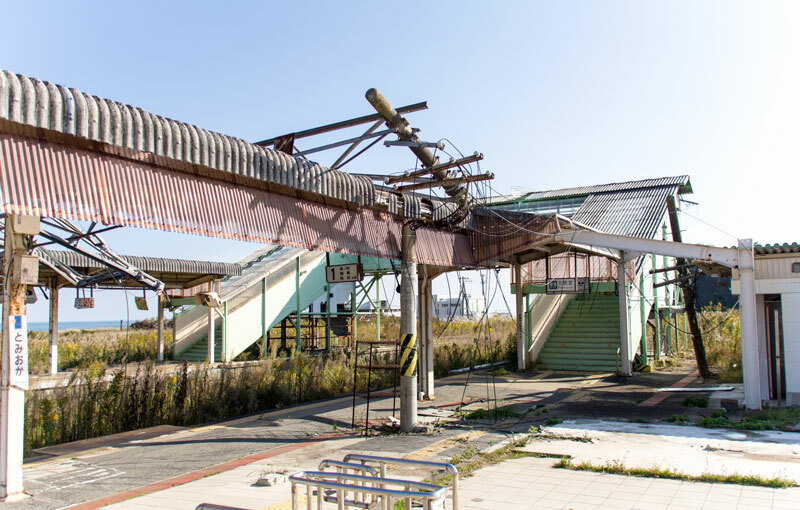 Tomioka is the closest thing we have ever seen to a nuclear wasteland. 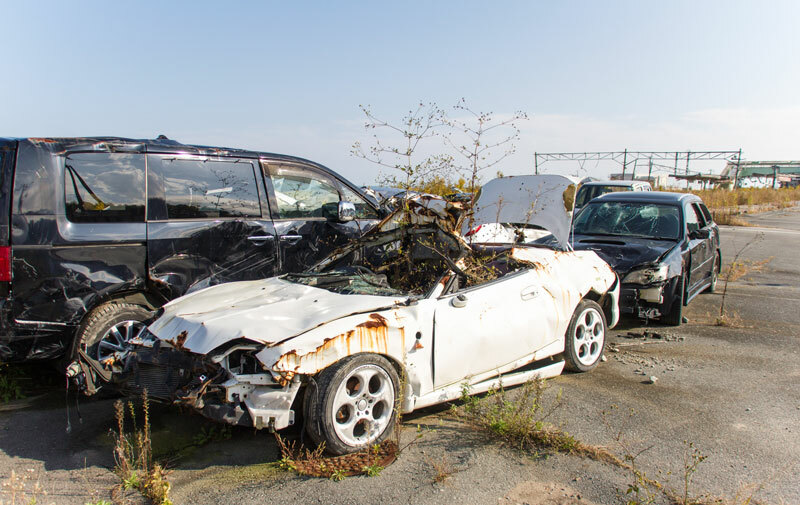 The town is on the coast, only 10 km south of Fukushima Daiichi, and it has yet to be cleared of damage caused by both the Tohoku earthquake and the subsequent tsunami. Half-collapsed buildings are surrounded by downed power lines and rubble deposited by the receding waves. 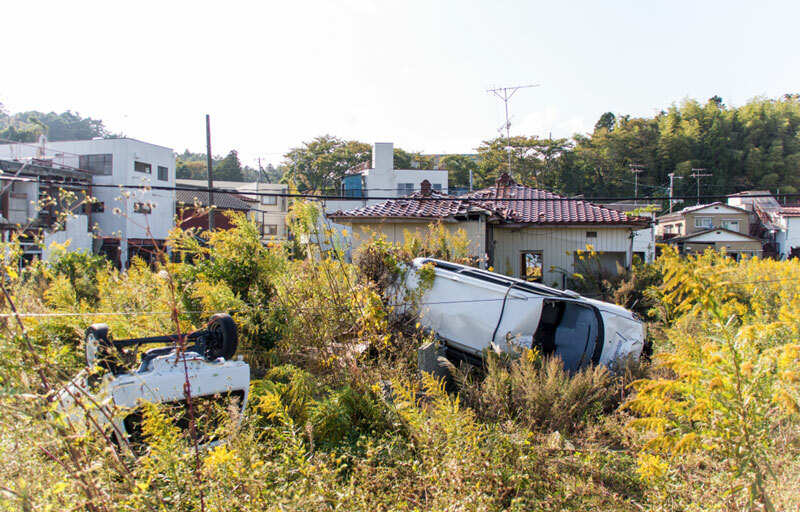 Upended cars lie in piles along the road, weeds grow out of broken windows. It’s interesting how quickly nature can take back a town when left to its own devices. 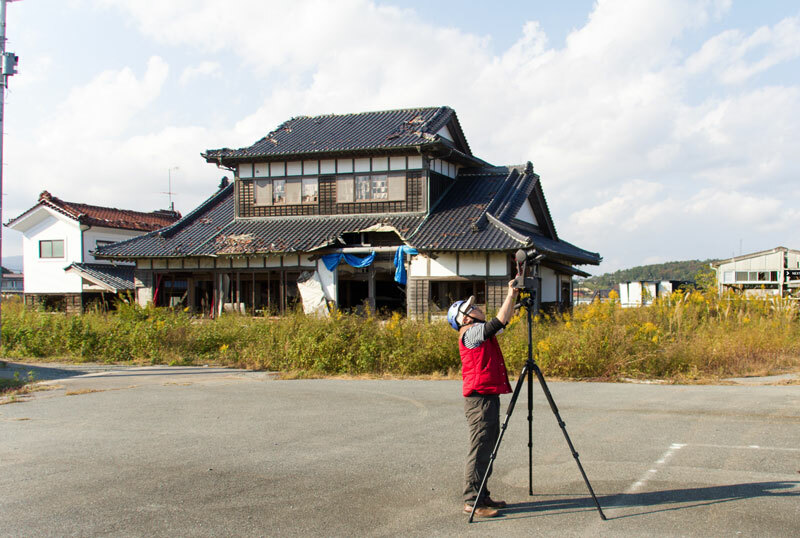 (Click for yet another stunning GigaPan that shows the desolation in high resolution © MAPconcierge/GigaPan.jp CC BY). What’s left of the Tamioka train station. We set up in the parking lot of Tomioka train station, whose tracks are overgrown with weeds and blocked by a few cars. We launched another two flights to map the village, staying just outside the airspace of the power plants both north and south of the town. 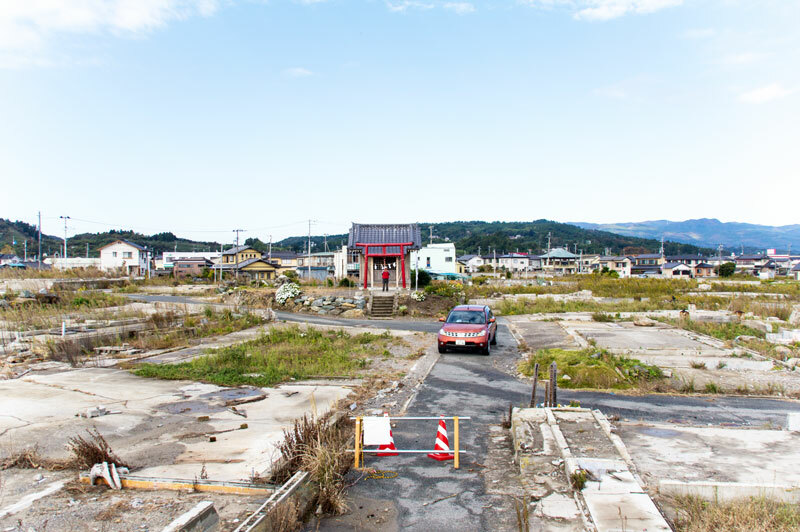 Given the scale of the damage and contamination, Tomioka may never return to being the town it once was. 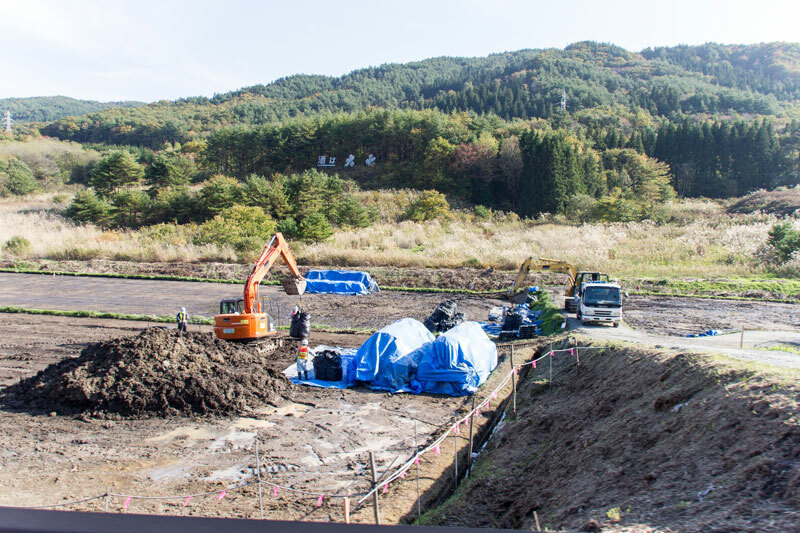 The latest plans of the Japanese government are to turn it into a storage area for contaminated soil. As we packed up to leave, a small earthquake shook the ground. The radio announced that no tsunami was expected…this time. 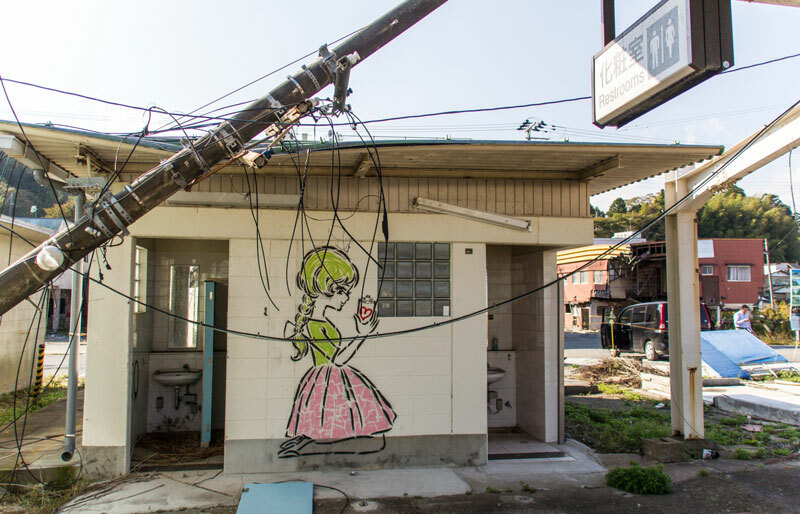 It was a small reminder that despite all the efforts since the disaster three years ago, Japan remains at the mercy of the fault line it is built on. 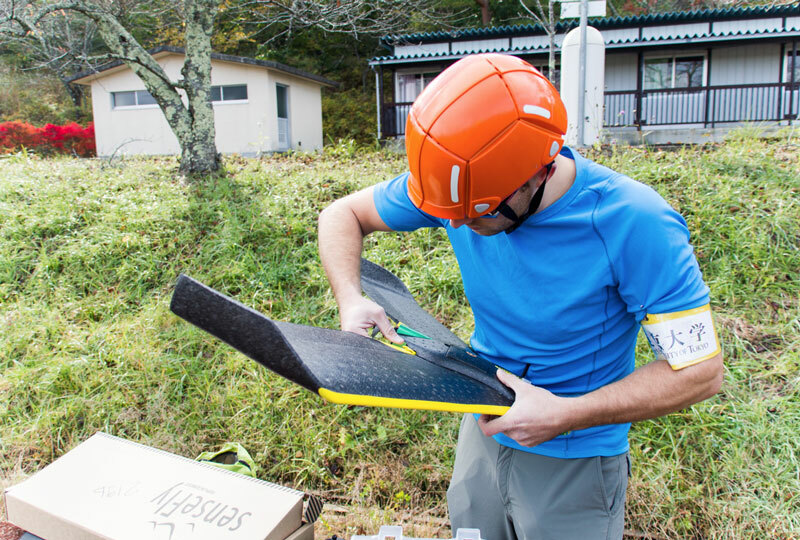 The data collected during our mission was first presented by our local partner Taichi to the Japanese government and to members of the local governments of affected municipalities at the Geospatial Expo in Tokyo last November. 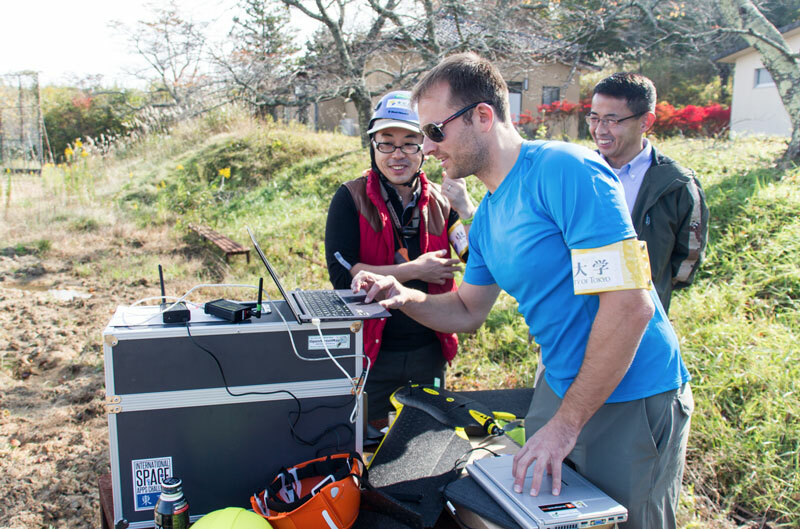 It has since been presented at various other local conferences, including the Race for Resilience – DRM Hackathon and as part of a keynote at the Recovering Symposium in Sendai by TOYOTA Foundation. 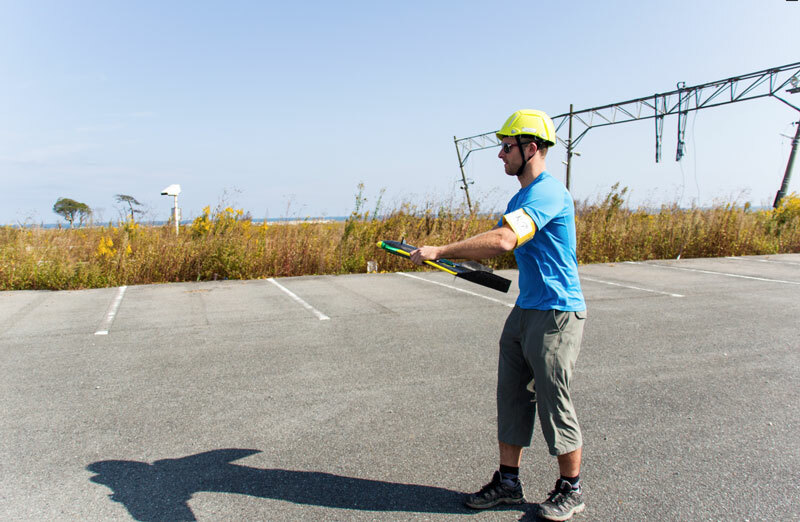 We use senseFly eBee drones for mapping and Pix4Dmapper software for data processing and orthomosaic generation. A special thanks to our friends at Mapbox for hosting our data and to Arnaud Vandecasteele from GeoTribu for his help with processing the Tomioka dataset. For high resolution photos of the mission check out the Drone Adventures photo gallery. This article was originally posted on Drone Adventures.